Yeah, Munch gets it. He’s screaming, all right. He’s screaming LET’S GO CAPS! 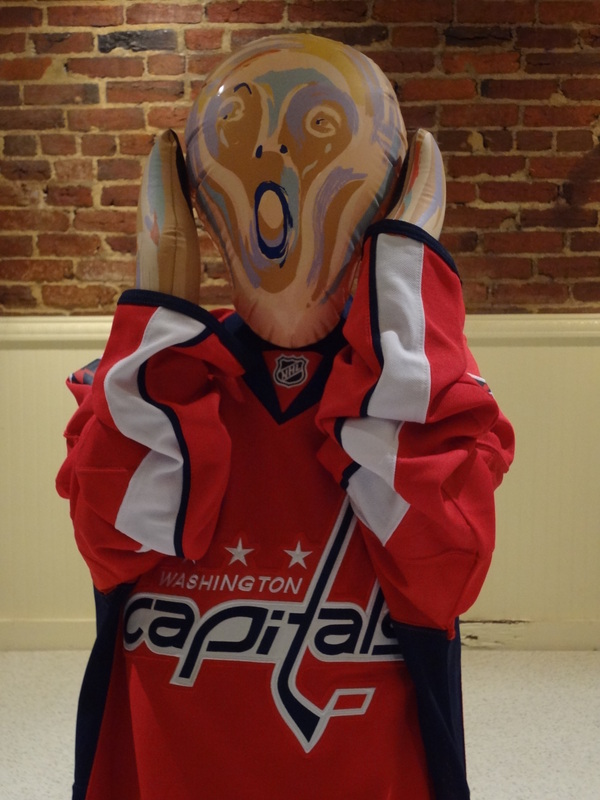 The Washington Capitals are on life support… . It’ll take a miracle at this point to dodge death by lightning. True, but miracles are this site’s currency. Hope lives. Here’s to believing in something – in this case, our Boys in Red. In his role as primary owner of the Capitals, Mystics, and Wizards, Ted’s teams have played 17 seasons. In those seasons, his teams have won two playoff series. That’s a .117 %. And people here say he’s “the best owner in sports”… because why? If emails and waves from the owner’s box from Cotton Candy Ted are enough to keep people cheering him, why should Ted change? Make no mistake: Dan $nyder is an a$$ clown. But, be equally clear: Ted’s teams lose. Ted’s fans will let all this continue or they won’t. If Ted feels ego pain, he’ll act. Until then, he’ll blog, wave, and raise prices. Be happy, you can do it! Craig… I feel your pain. Look… the Capitals are a young team, and that in itself can be a huge burden on a team in the playoffs. But they’re also young in mostly the wrong places. Their goaltending and the guys relied on to score, for example. It took the Senators, for example, roughly a decade as an elite team before they finally made it to the finals. And by that time the core players were in their late-20’s and early-30’s. What the Capitals need is a fine tuning, not a bloodletting as some columns are suggesting. @Jeremy: those teams were losing a long time before Ted showed up and saved them from being moved or folded.